Cook beef in a skillet over medium heat until no longer pink; drain fat. Add tomatoes, Worcestershire and seasonings. Stir well and bring to a boil. Reduce heat; simmer, uncovered, for 15 to 20 minutes or until thickened. 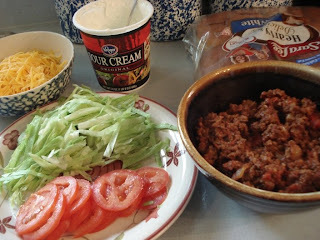 Spoon onto buns and top with cheese and lettuce. Serve immediately. 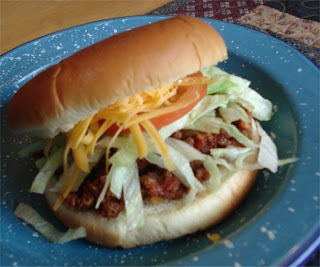 What a great idea...a twist on the sloppy joe!